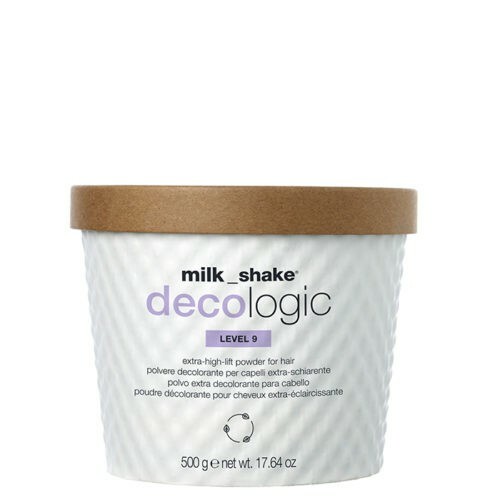 milk_shake® decologic level 9 is an extra-high-lift powder for hair. It is a lightening formula suitable for all lightening techniques, to create intense lift up to 9 levels whilst counteracting residual warm tones. With organic cranberry extract, clay, and silk proteins for perfect hair lightening, hair protection and conditioning. It doesn’t run or expand. For professional use only.